- Add background music to your videos to add more flavor. All regular audio formats like MP3, WMA, WAV, M4A, AAC, AC3, OGG, etc. are supported. - Import photos like BMP, JPG, PNG, GIF, etc. and create home movies with photos and videos combined. 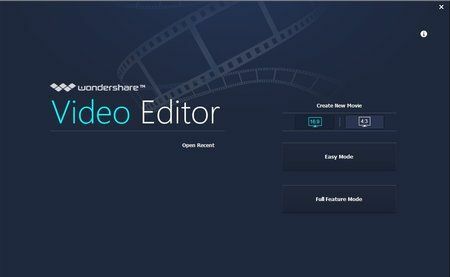 - Edit and personalize videos/photos/audios with video editing features like trim, crop, rotate, set fade in & fade out, adjust duration, etc. - Add stylish captions on your videos and photos with customizable font, color, etc. to for better video meaning conveying. - Add transition effects between two clips and apply motion effects to photos so as to achieve a natural and smooth transition. - Get optimized videos for playback on your portable devices like iPhone, iPad, PSP, iPod, Wii, Zune, etc. - Save edited videos to local hard drive for further use in a variety of video formats. - Directly upload your video creation to YouTube for sharing with more people by filling in necessary information. - Burn videos to DVD discs or save as DVD folder or ISO image files to preserve videos in a better way.